No matter how tired,annoyed or bad I feel,I know that the right song can put me in a good mood. 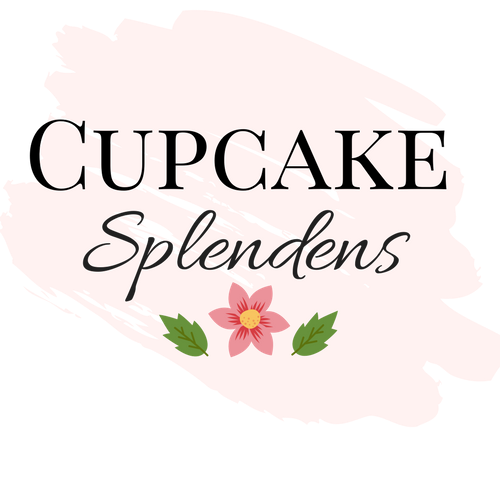 Let me take you back to last Thursday.I had 'one of those days' and I thought that taking a short nap will sort it out.Two hours later I woke up, not feeling my best and I realised that we were already late to Sound Leisure's event in Leeds. 'Damn it' I thought.We are already so late,'Should we still go?'. 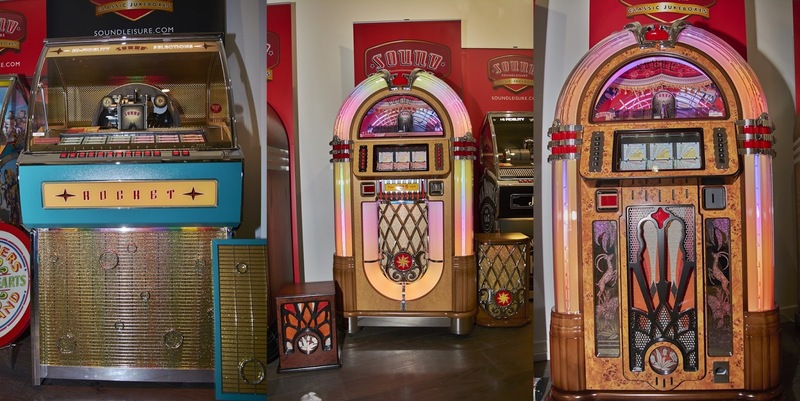 My desire of seeing Jukeboxes overtook my bad mood, so I quickly grabbed some clothes and rushed out the door. When we arrived at Victoria Gate Leeds, almost everyone left , but that wasn't necessarily a bad thing because we had more time to chat with Ellie,Emily,Tom, Chris and his wife. 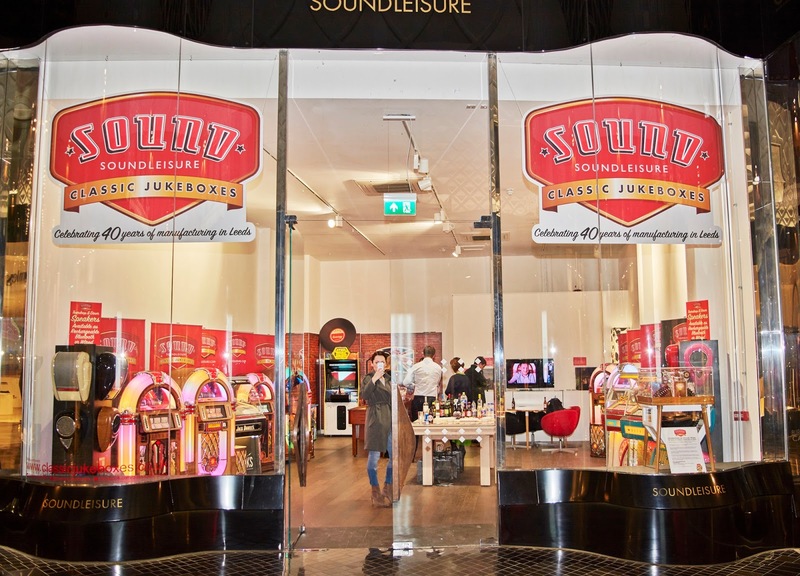 You can visit the popup store at Victoria Gate until the 18th of April, where you will be greeted by Chris Black,the managing director of Sound Leisure. 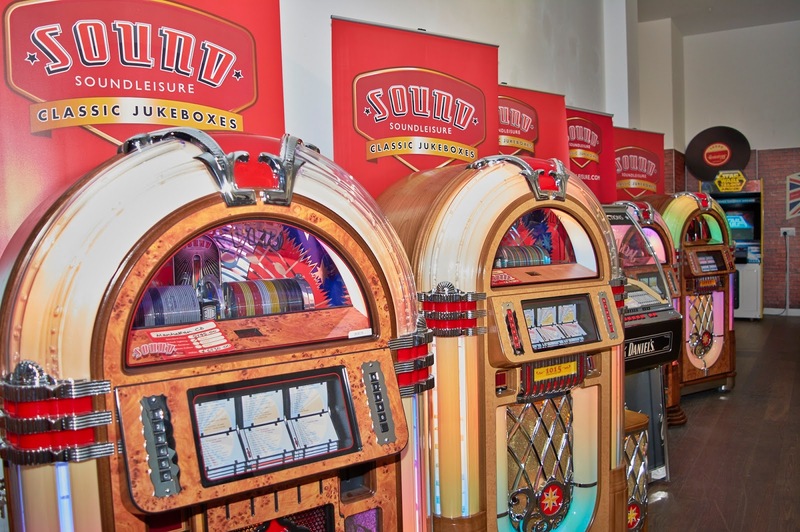 Ask this man everything about Jukeboxes and he knows it! His father started this business 40 years ago and it is a family run business with over 100 employees. 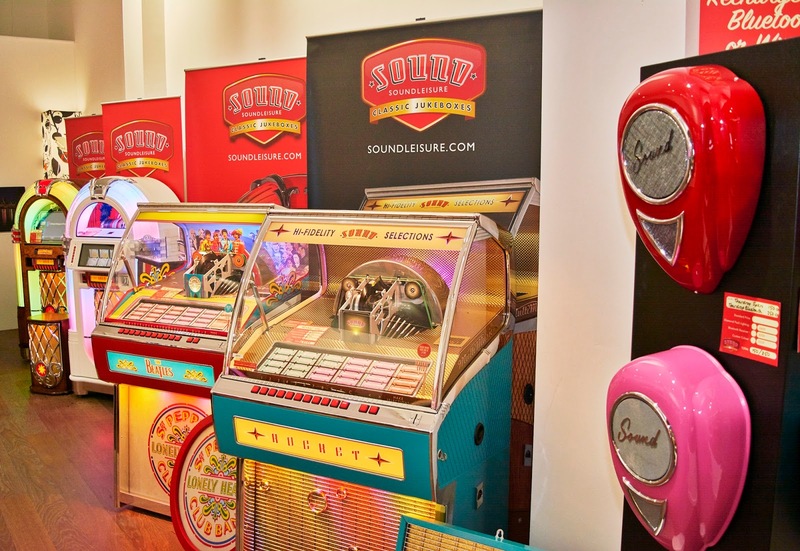 His company produces them from scratch and they are the world's only manufacturer of vinyl jukeboxes.Did I mention that they are producing them in Leeds? 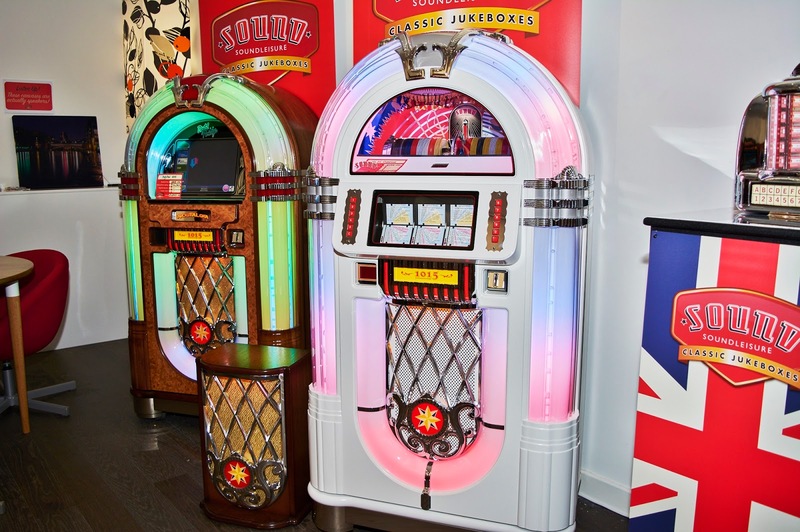 The Jukeboxes are of the highest quality, with different designs and features. It was extremely hard for me to pick a favourite one,but I was already imagining the white one in my makeup room. Nick's favourite one was Rocket . You can also admire the Rocket Jukebox in the newest trailer of Jurassic World 2 . 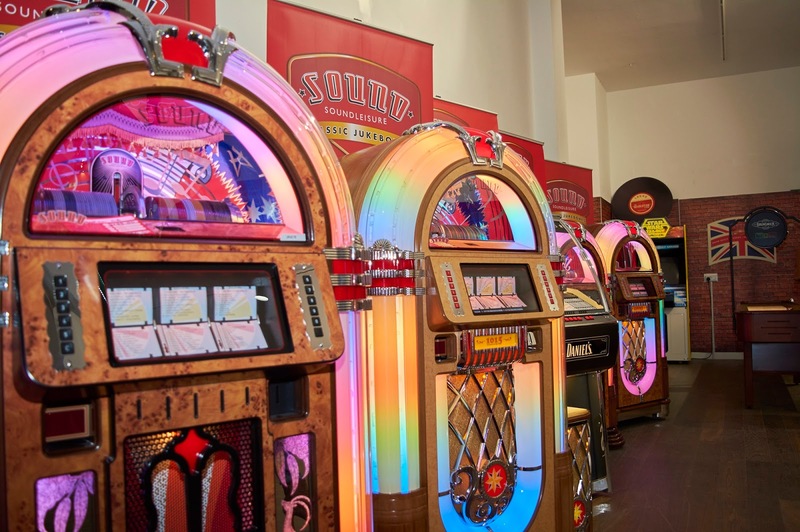 You can get your very own personalised Jukebox from Sound Leisure, so feel free to contact them. 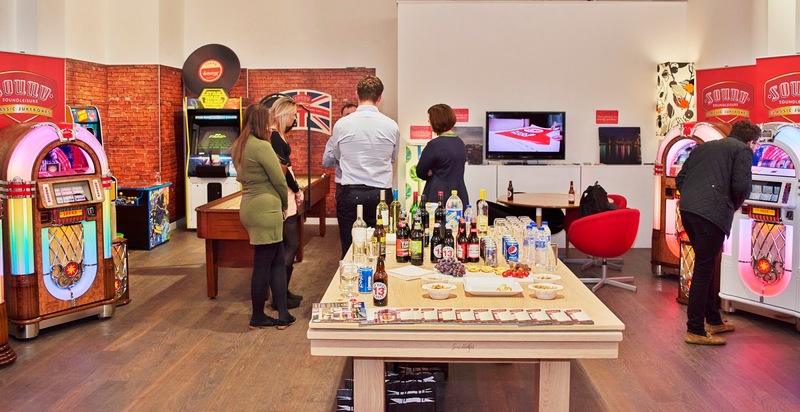 Maybe it was the atmosphere,maybe it was talking to inspiring people, but I've learned my lesson. 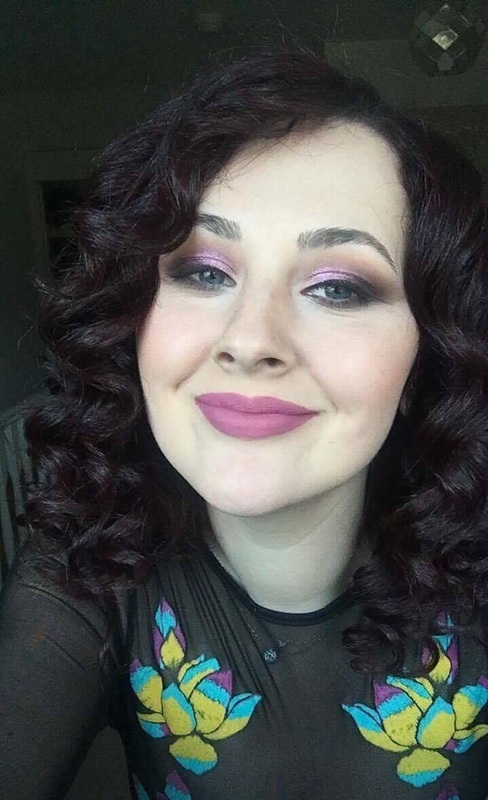 No matter how you feel, get up, dress up and always show up!